Invisalign is a tool to align teeth. Beautiful outcomes are the result of your orthodontic specialist’s learned artistry and skill with the Invisalign system. Dr. Phucas was one of the first orthodontists in South Jersey and the Delaware Valley to offer Invisalign to her patients in 2000. She was recruited to join Align Technology’s (makers of Invisalign) Faculty and speaks throughout North America sharing her knowledge and expertise with other dental professionals. Dr. Phucas assesses each person’s smile individually and treats each person uniquely to deliver outstanding results. Smile with confidence! Since Invisalign is nearly invisible, you can straighten your teeth without anyone knowing. Dr. Carlyn Phucas is a certified Invisalign treatment provider with Elite Premier Provider status. She has treated many cases with this leading edge appliance system. Have you ever wished for a straighter, healthier smile, but not looked forward to all the metal wires and bands that often go along with braces? At Carlyn Phucas Orthodontics we can make your dream of having a new smile come to life! Dr. Phucas is a certified Invisalign orthodontist, giving patients a “clearly” effective and incredibly comfortable way to wear braces! To learn more about Invisalign and if you are a candidate or your child is a candidate for Invisalign Teen, contact our office today to schedule your complimentary Invisalign evaluation. Customized just for you – Your Invisalign aligners are customized to fit your mouth. Dr. Phucas uses advanced 3-D computer imaging technology to replicate an exact impression of your mouth and teeth, then she customizes each aligner so that it fits your mouth, and over time moves your teeth into the proper position. 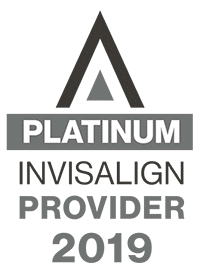 Invisalign Platinum Providers have been designated as being some of the providers of Invisalign orthodontic treatment. These are essentially Invisalign experts who have worked with Invisalign for a long time and have successfully treated over 300 lifetime patients! Dr. Phucas has extensive experience with Invisalign and has performed faculty training to doctors all over the country on Invisalign technology. 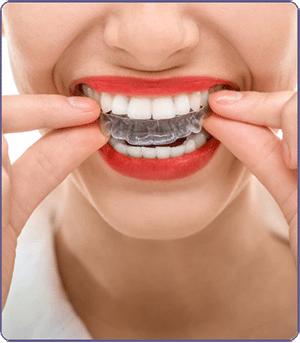 Why Choose an Invisalign Platinum Provider? Invisalign Platinum Providers have received the best training for Invisalign and Invisalign Teen. With their vast experience, they’ll be able to treat a wider variety of orthodontic cases with Invisalign. Additionally, they’ll be able to treat much more complex orthodontic cases. You’ll be able to see the successful results that other patients have achieved through their treatment.